Correction. Found the oil pressure switch just below the fuel rail. It looks like the wire going to the switch has had a previous repair with a crimped splice. Maybe the splice is bad and the circuit is open. I'll get out there in a bit and ohm things out. I looked at the wiring diagram and it appears that the switch passes a ground to the DME when the oil pressure is ok. Shouldn't I be able to jumper this wire to ground to test the functionality? I checked out the splice with a multimeter and it was ok. I then jumpered the switch wire to ground and started the car. The oil light was illuminated on the dash. While the car was running I disconnected the jumper and the oil light went off. So a ground causes the lamp to illuminate. With the switch wire disconnected, the car kept running, poorly, but running. Lots of vibration and missing. I need to check the voltage at the switch itself. Reconnecting the wire to the switch did not cause the oil light to come on. I need to go pick up some spark plugs to replace the carbon fouled ones. I got all the spark plugs out and found the plugs in cylinders 1, 2, and 3 were covered with carbon. I found cylinders 4, 5, and 6 covered with gasoline. 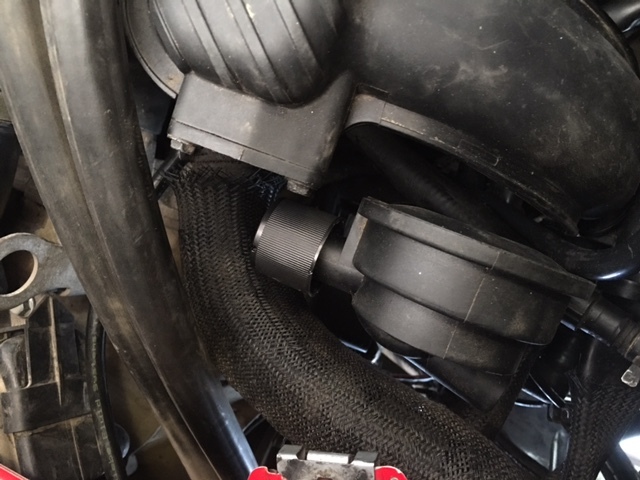 Is it possible that 3 injectors got stuck open? Or is this lack of spark in one side of the engine? Thanks in advance. I wonder if the flooded plugs could be due to a bad fuel pressure regulator which I just replaced? I've measured 12 volts at each of the coil pack connectors. I guess it is possible 3 coil packs failed, but they all ohm out ok. I'll check spark from the actual coil packs tomorrow with a spark tester before replacing any plugs. Going to do another fuel pressure test today to see if there is a chance of injectors leaking. I would verify spark on all packs AND plugs (put the plug back in the pack, ground the body of the plug with a jumper and watch for spark while cranking). That will tell you for sure if you are getting spark. Took your advice and tested for spark exactly as you suggested. All spark plugs are firing. Even with carbon and gas on them. I did a fuel pressure test. 3.8 bars with key on engine off. Dropped to 3.4 bars after 30 minutes, 3.0 bars after an hour, and 2.0 bars after being left overnight. So if there is a fuel injector leaking, it's a slow leak. I guess the next step is to put a noid light on each of the injectors cables and check them out. After that, I'm down to the injectors themselves. I'm really impressed with your deductions and reasoning and the steps you're taking to get there. It is looking more and more like your injectors are the issue. Either dirty or leaking. You know you have compression and spark...so it's gotta be air/fuel related. I did the noid test and found to my dismay that all injectors were pulsing. Not really my dismay, but an end to the quest. 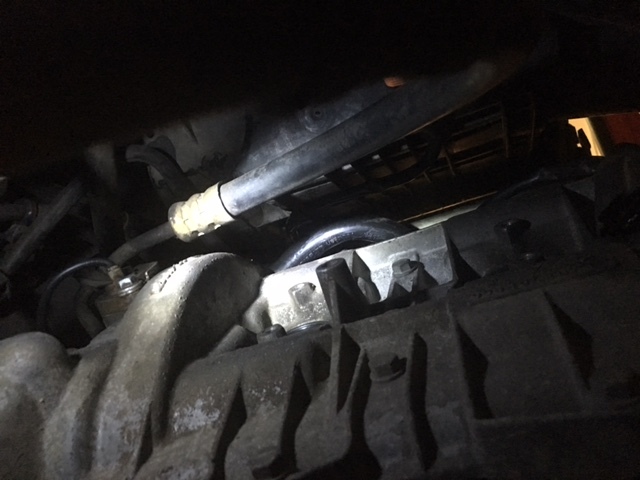 But while I was underneath the car wresting to get to the injector plug on cylinder 4, I found the tube shown below unhooked at one end near the driver side front of the engine (maybe the PCV valve?). The other end goes under the plenum and somewhere below or into the manifold (possibly to AOS). Fairly rigid tube, not rubberized. I hooked it back up by feel to what I guess is the PCV on the drivers side crankcase cover near the firewall. I could not see the ends from above or below. So before I get all excited and reassemble everything, can someone tell me what this tube is and could it be causing a vacuum leak? No, I did not see smoke in this area from the smoke machine. Sorry for the big picture and it's cockeyed angle. 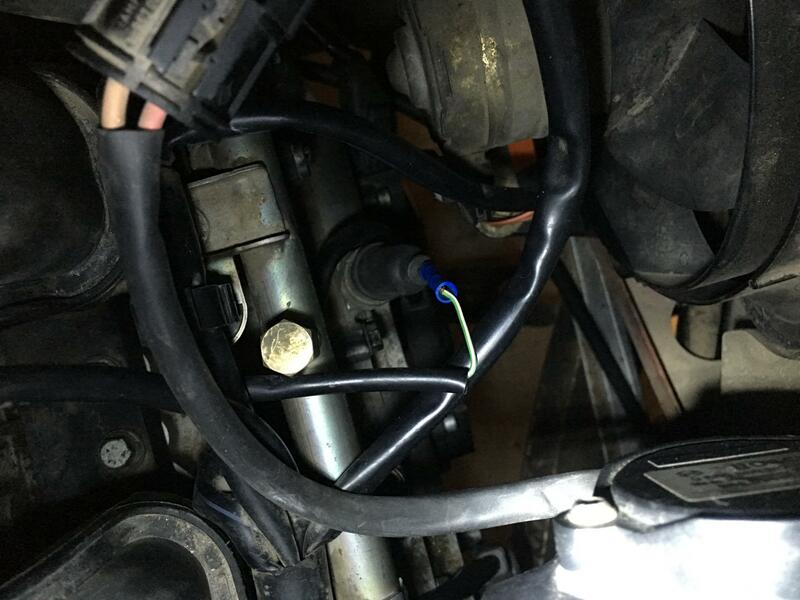 I'm referring to that small bend of tubing hiding there above the spark plug hole in the crankcase. Thanks for the help! Last edited by tada; 04-04-2016 at 10:42 PM. 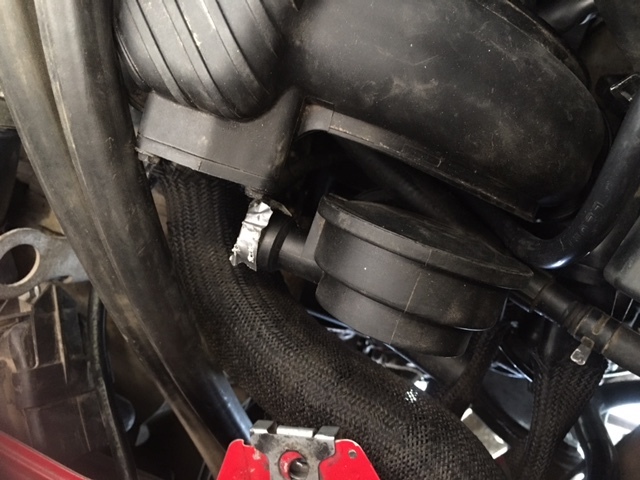 After more reading, it looks like it may be the crankcase vent (breather) tube that connects between the PCV valve and the AOS. If it was disconnected, it may really screw up the air/fuel mixture at idle. Can anyone verify the location of that tube? Last edited by tada; 04-04-2016 at 10:37 PM. Reattached the vent tube (by feel), reassembled everything. Same exact response. Running on 3 cylinders. Got my Durametric today. No codes. I do feel this is air/vacuum related at this point. But to really see the PCV valve, the airbox needs to come out, and to get to the other end, I need to get under that input manifold. So, the excitement has quelled. On to get things done. So the injectors are pulsing, but they could be dirty. You could still have a leak somewhere. Hoping someone with Durametric value experience can help you use it. I think I found a problem. It may not be a no run problem, but it is an obvious problem. Look at the AOS below. Sometimes I just miss the obvious. That cap on the AOS where the J tube should be was capped off with a carb cleaner cap. Underneath I found duct tape over the opening on the AOS. I found the exact same setup on the throttle body. So, it seems to me the PO tried to plug these off because the AOS has probably failed. So an AOS replacement along with all the breather and vacuum tubes is in order. Can this be the root of my problem? Absolutely. Replace that along with the j tube. I'd be very surprised if that wasn't your issue. I'm pretty sure these cars can't run without a functioning air oil separator. If they could none of us would bother replacing ours. Your po is not very smart. 100% shure that this can cause the problem, because the engine gets false air. This will definetely cause a rough idle.